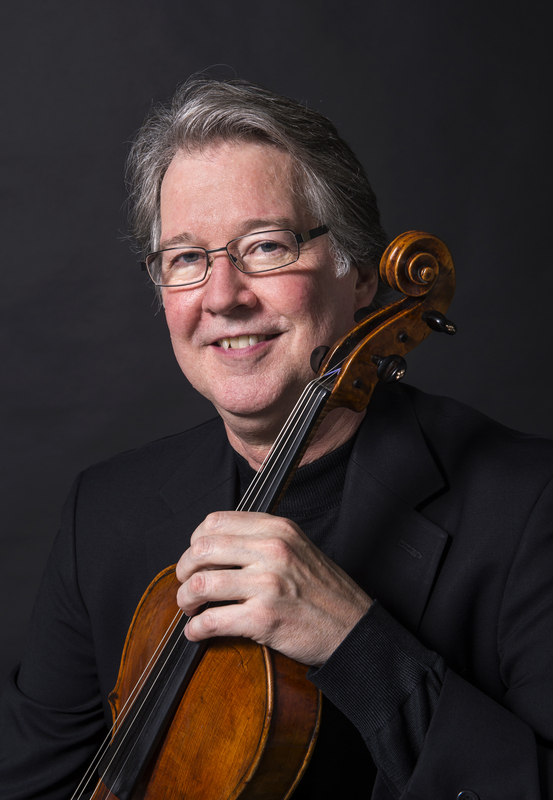 James Dunham’s rich background includes having been violist of the Grammy-winning Cleveland Quartet and founding violist of the Naumburg Award-winning Sequoia Quartet. He frequently collaborates with the American, Jupiter, Pacifica and Takács Quartets, and is violist of the Axelrod Quartet, in residence at the Smithsonian Institute in Washington, D.C. Mr. Dunham is a frequent presence in master classes and competition juries throughout the U.S. and abroad, including the Fischoff and Osaka Chamber Music Competitions. During the 2016/2017 season he joined the New Zealand String Quartet for a 3-week tour of their home country, appeared nationally with the Jupiter String Quartet and in performance and masterclasses at the Hochschule für Musik und Theater in Leipzig. An impassioned advocate of new music, he has premiered and recorded many works written for him, notably by American composer Libby Larsen and his recent recording of Judith Shatin’s Glyph for solo viola and piano quintet received rave reviews. The Cleveland Quartet’s recording of John Corigliano’s String Quartet, written for their final tour, won the 1996 Grammy for Best Chamber Music Performance. Dunham is Professor of Viola at Rice University’s Shepherd School of Music where he co-directs the Master of Music in String Quartet program.